Marketing may take a matter of days to accomplish but it takes a career to master a digital marketing strategy. Our team of carefully selected gurus have been imparting strategic and creative insight throughout their careers as marketing professionals and agency account managers. 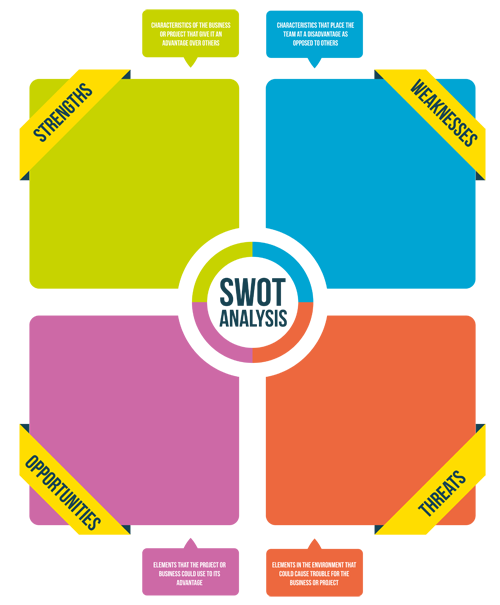 Why not contact us for a no obligation digital marketing strategy consultation in order to carry out a comprehensive SWOT analysis to gauge where your business currently stands in the market place aliongside your competition. From a creative brief to a finished corporate identity or brand overhaul, our creativity doesn’t rest solely with the graphic design team. Need advice on colour management, personalised print or the most practical print finishing techniques for your brand and budget? Our account management team can offer brand management advice on print procurement to rival any commercial print management company. 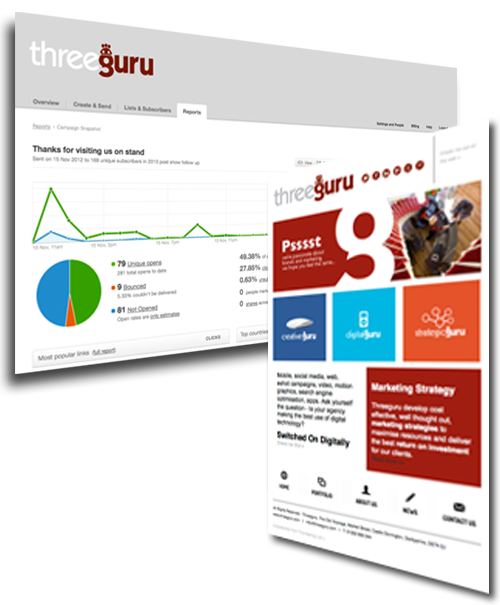 Threeguru see your online marketing as an important relationship building tool and take a long term approach to keep your online presence fresh and optimised to increase targeted visitor numbers. Our creativity extends to more than just graphic design for online brochures and eshot campaigns. Amongst our online marketing services we specialise in content managed web design, SEO, social media and photography and video for web. Fancy testing out the digital gurus? 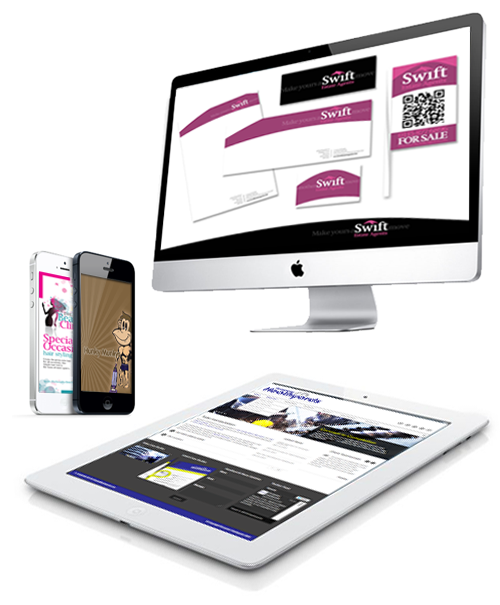 Why not let us set up and run a test eshot campaign for your business to see how effective a digital marketing campaign can be for your business.